For adults with disabilities, it is important they have access to the same social and recreational opportunities as everyone else. 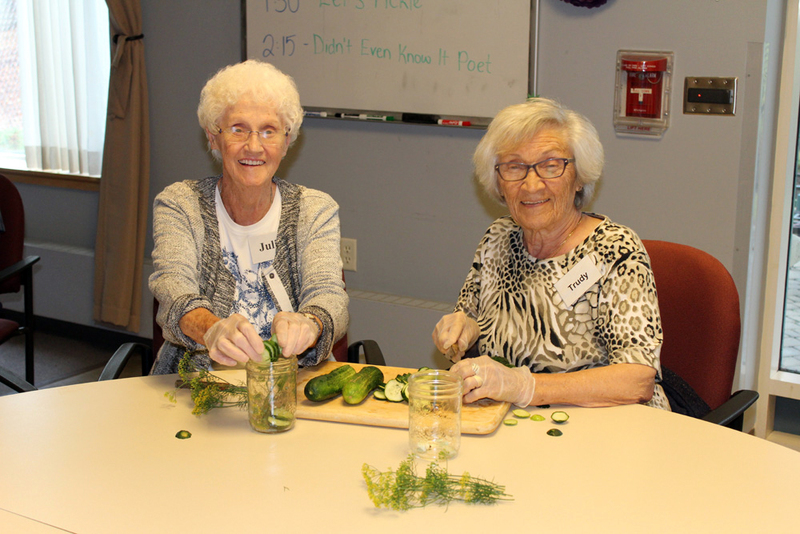 The Region of Durham currently offers adult day programs at three of its care homes, including Hillsdale Estates in Oshawa, and the Lakeview Manor sites in Port Perry and Beaverton. These programs provide supervised therapeutic, social, and recreational programming for adults living with cognitive impairments such as Alzheimer’s disease and dementia. Carolyn Douglas, coordinator at the adult day program at Hillsdale Estates says it includes regular exercise and a daily hot lunch. Hillsdale recently started a new program with tablets that engages participants through apps and games. The program usually has around 45 clients, Douglas says. There are many benefits for the clients of the program. “It has been shown that the social interactions can maintain those remaining strengths [of the brain]. Being engaged in activities is stimulating and it’s fun, and improves quality of life, and creates friendships,” Douglas says. Despite the cognitive impairments they may have, Douglas says clients can “absolutely” appreciate the activities. “They really enjoy themselves; they laugh; they get involved,” she explains. The program also provides immense benefits to caregivers. She adds that numerous caregivers have told her they wish they knew about program much earlier. Douglas notes they are making greater use of technology and seeing a more varied client base. “We actually have some clients in their 50s and we just celebrated a 100th birthday,” Douglas notes. The Hillsdale Estates adult day program runs Monday to Friday 9 a.m. to 3 p.m., and there are currently spaces available. “That’s good news because there are so many programs with long waitlists,” Douglas says. The cost for the program is $21 a day, and applications can be made through the Central East LHIN.